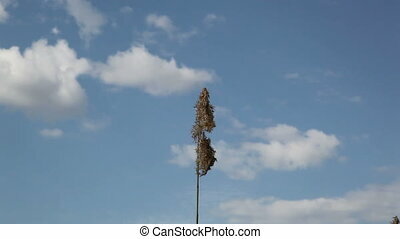 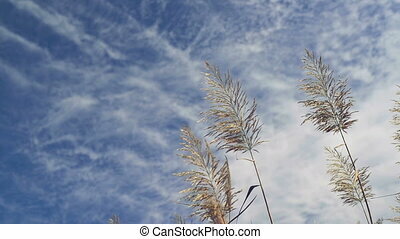 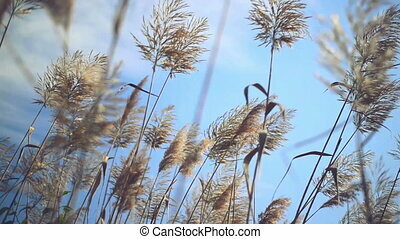 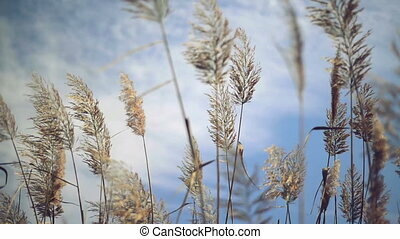 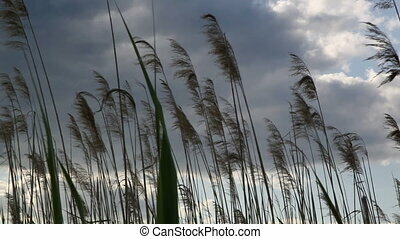 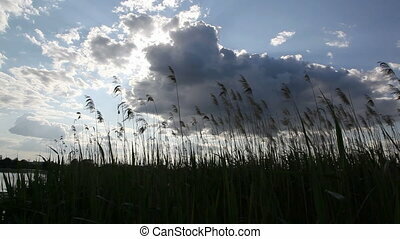 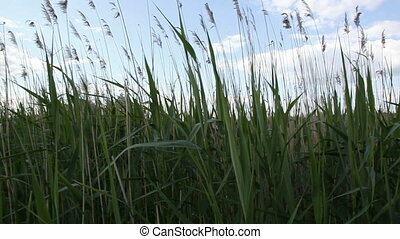 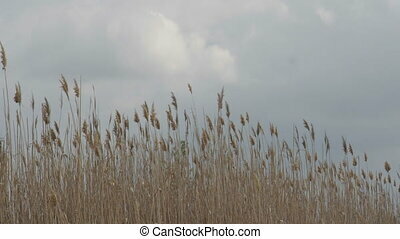 Dry reed against the sky. 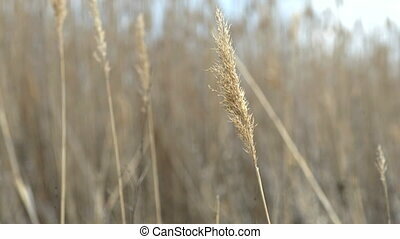 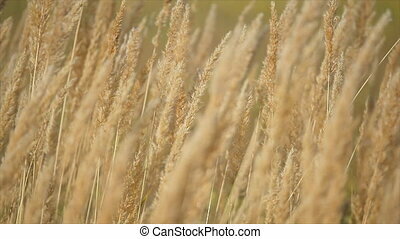 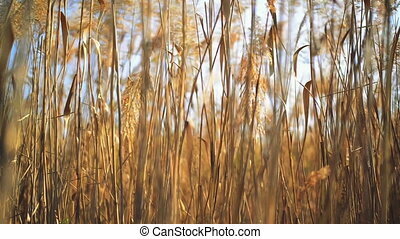 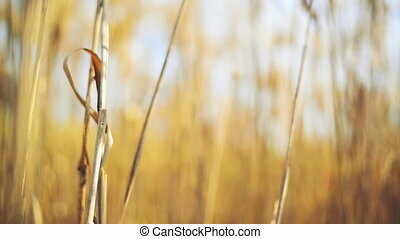 Dry reed grass on a sunny autumn day. 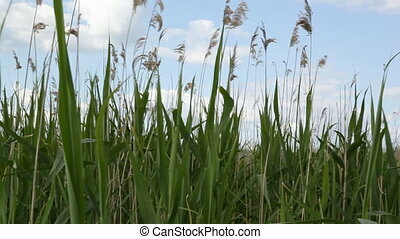 1920x1080 full hd footage. 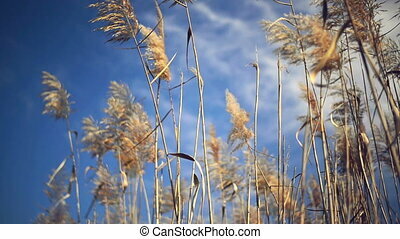 Dry reed plants on a sunny autumn day. 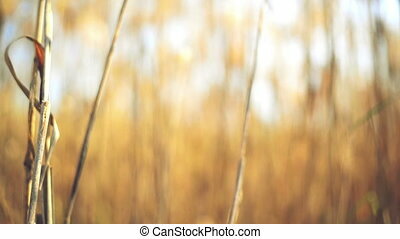 1920x1080 full hd footage. 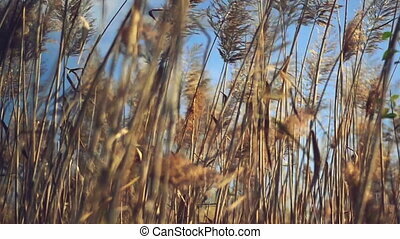 Dry reed close-up slow motion. 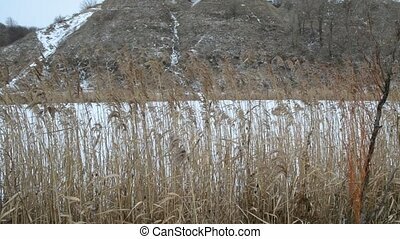 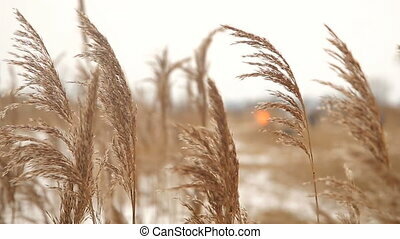 Closeup of old dry reed swaying in the wind in winter on the background of a frozen lake covered with snow and brown hills covered with old grass and leafless trees and a bit of snow.